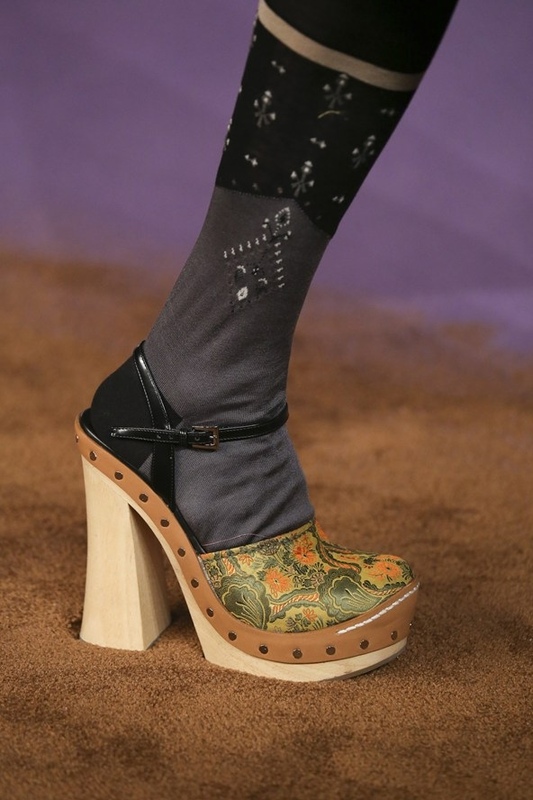 I see the 1970's revival what is another point why we should wear platforms. This year is all about retro looking, that's why you better grab one of these disco-inspired chunky-soled shoes and wear them everywhere you want. These daring heels will take any lady from bohemian to disco with an ease. 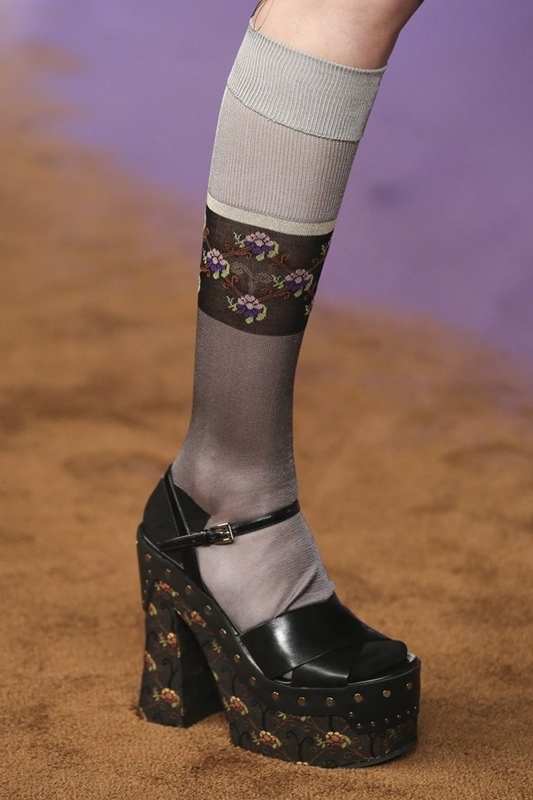 Personally, I find kind of glam-rock spirit in this chic footwear. You gonna find here sleek, sophisticated mules, festival-ready fringed styles, cool clogs, trendy designs with see through heels, etc. Walk tall with one of these beauties from the likes of Calvin Klein Collection, Michael van der Ham, Tom Ford, Prada, Versace, Salvatore Ferragamo, and many others. Scroll down to see some of the best styles.